In fact, one of the lessons many of us fail to appreciate from the Civil Rights movement of the 1950s and 1960s is just how much internal struggles there were among the various groups and leaders that were calling for change. Ava DuVernay's masterful Selma captured some of that struggle from the perspective of the Rev. Martin Luther King, Jr., but there were many ideological, geographical, cultural, and religious fault-lines that hindered attempts to articulate a unified message for full equality and suffrage. After the passage of the Civil Rights Act, some of those tensions remained, even as groups such as the Southern Christian Leadership Conference, the Student Nonviolent Coordinating Committee, and NAACP continued to try to impact long-lasting change. Today, new battlefronts in the call for civil rights have emerged, most notably for recognizing the rights of religious minorities in a rapidly diversifying country. Religious pluralism is no longer just an ideal, but a reality that cities and communities across America are coming to grips with. For Hindu Americans, the struggle for recognition in America's religious landscape has been beset with numerous fits and starts. This history began long before the passage of the Immigration Act of 1924, when "Hindoos" (a term used to describe anyone - Hindu, Sikh, or Muslim) were a racialized, vilified, and exoticized minority. In some of the same ways that Blackface was used to marginalize African Americans in popular culture, brownfacing Hindus - particularly the demonization of their religious traditions - was fairly common in U.S. mainstream media, politics, and popular culture. 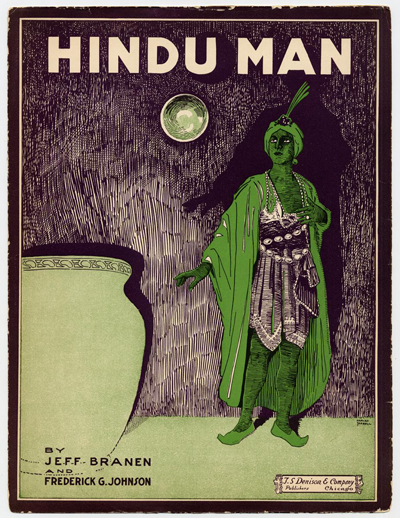 Sometimes, movies themselves were ideological platforms from which anti-Hindu sentiment fomented, as in the case of the 1909 film, The Hindoo Dagger. Fast forward to the 1960s, and the post-1965 immigration wave that brought Hindus from countries such as India to the United States (including my dad) presented a more complex and subtly hostile environment. In the midst of a cultural revolution, Hindu teachings were embraced by white devotees across America, but Hindus themselves were still very much a racialized Other. The Hindu children born in the 1960s and 1970s America (including me) were faced with the daily challenges of reconciling their religious identities with a sense of being American. At no time was Hinduism seen as compatible with Americanness. As such, some no longer publicly identified as Hindu. Others, like former Louisiana Governor Piyush "Bobby" Jindal, after years of being shamed by his peers in high school, converted to other faiths and have spent much of their lives since ridiculing Hinduism. With the growth of Hindu organizations and cultural centers across the country in the 1980s and 1990s, a new narrative slowly emerged, and some Hindu children felt more at ease in their religious identities as a result of having friends with similar religious/cultural upbringings. But Hindus still continued to hide in the shadows of the American public sphere, maintaining their religious identities privately or within the safe confines of houses of worship. Even as anti-Hindu violence flared in states like New Jersey in the 1980s (due the notorious "Dotbusters" movement), Hindus rarely found themselves in public space decrying such violence - or being supported by other groups. As my friend Khyati Joshi noted in her book New Roots in America's Sacred Ground, the racialization of non-Judeo-Christian religions had dramatic impacts on religious communities like Hindus, Sikhs, and Muslims. Religion has become racialized in many respects. However, Hindus aren't as visible for their religious garb as the latter two communities, which is one major factor in why Sikhs and Muslims were often targeted in hate and bias attacks in the wake of the Sept. 11, 2001 terror attacks. But the silence of Hindus in the American public sphere has also largely left them out of important discussions, particularly as it relates to civil rights and religious equality. Even as more and more Hindu children born in the United States attend and graduate from America's schools, the calls for a public Hindu identity - one that embraces the heterogeneity of a community that numbers close to 3 million and encompasses the expanse of racial, cultural, and ethnic backgrounds - grow. That's why the efforts by Hindus (and Jains, Sikhs, and Buddhists) to get cities and counties to recognize holidays such as Diwali are so important to understanding where the Hindu community stands today. Even as Howard County, Maryland, voted to approve Diwali as a holiday for the upcoming school year, and neighboring Montgomery County considers the same decision for 2017, the end result of this effort is more than just about celebrating the recognition of a holiday. It's about Hindu Americans - of diverse ideological backgrounds and sometimes not seeing eye to eye on issues - emerging from the shadows and entering the public sphere as equals. This sort of advocacy is new to many Hindus, especially since the racialization of Hinduism hasn't happened in recent years on the same overt scale as it has to Muslims. But that feeling of being Othered, and of being socially isolated for believing in a religion that has been deemed foreign or incompatible with America, is one that runs across generations and geography of Hindu America. In this vein, the push to recognize Diwali on a local level shouldn't be an endgame - it should be a building block towards a substantive change in how Hinduism and Hindus fit into the American social landscape. After all, with a Hindu member of Congress, a Hindu U.S. Surgeon General, and a variety of other successful business, political, entertainment, and social leaders who have never seen their religious identities as being irreconcilable with their American identities, perhaps it's time for Hindus to appreciate and embrace their role as equals in this country.